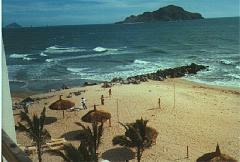 I am waiting on the beach to go parasailing. 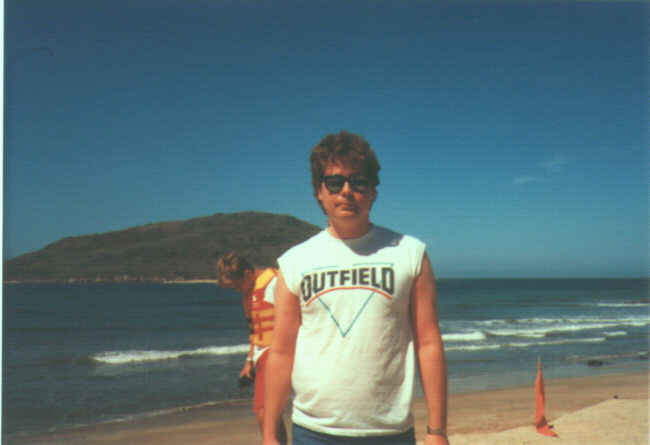 Behind me is the 'place of deer', which is what "Mazatlan" translates to in Náhuatl. 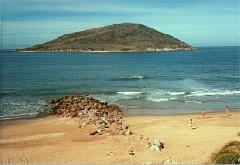 There are three islands off the beach. The Outfield was a popular band at the time. 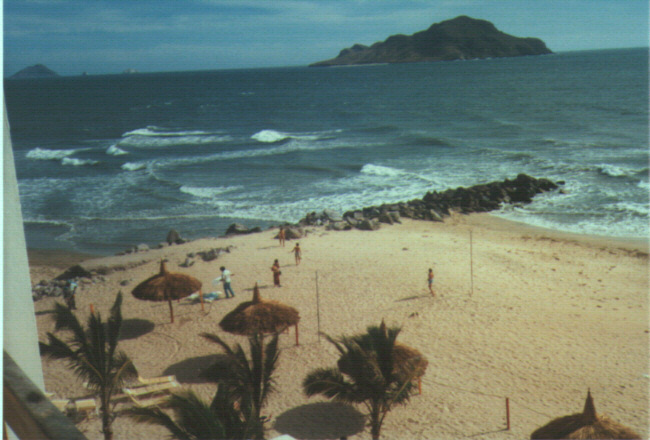 In the 70's, tourism in Old Mazatlán declined as other, newer venues opened on the expanses of beach to the north of the city. 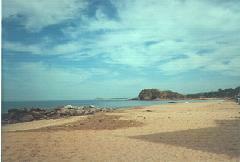 A nice picture showing an uncluttered beach. 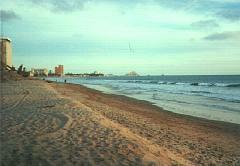 The large stones are used to help prevent beach erosion. I remember how windy and cool it was. 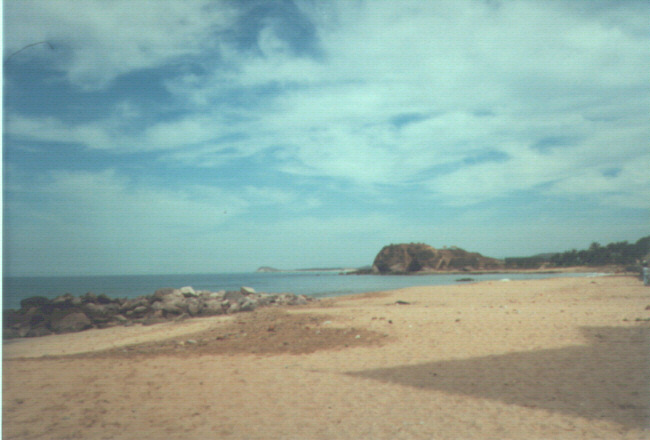 Mazatlan doesn't warm up like other destinations do in the Spring. This has to have been shot from the hotel room. 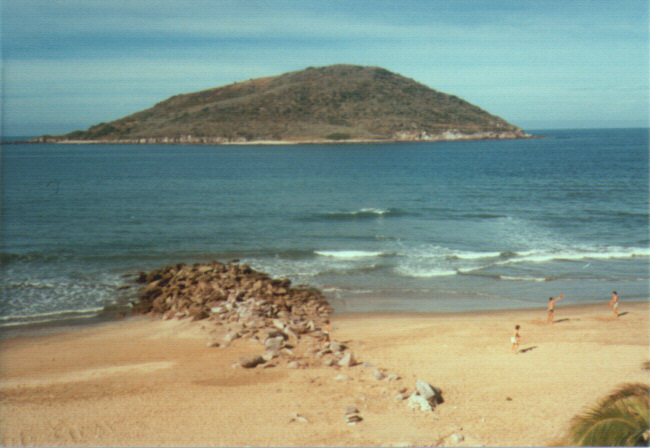 Notice two sets of protruding headlands. Again, how empty is this beach? Here is the skyline in 1987 - pretty bleak! 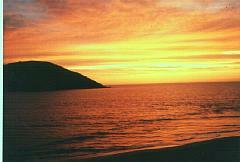 What a great picture of sunset along the Pacific ocean.